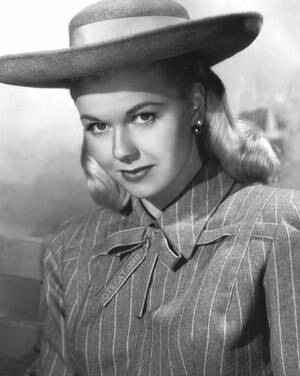 Doris Day was almost destined to become America's sweetheart. Her pretty face got her into pictures, her pictures helped sell her records, and her terrific personality made her a welcome guest on radio. "Doris Day on Kraft Music Hall"
Doris Day, one of the most influential and prolific actresses to ever grace the silver screen, was born Doris Mary Ann Von Kapplehoff to a immigrated German family in Cincinnati, Ohio, in 1924. As a child, she was always a playful little girl, wanting what other girls wanted, which was to become a typical ballerina. She loved to dance, sometimes dancing by herself, for hours at a time, but soon her dreams of becoming a dancer were shattered by a horrific automobile accident. Grace smiled upon her again when, at the age of 16, Doris discovered that she could sing, and sing WELL! Doris began singing with local bands and on one separate singing occasion, Doris met her first husband, Al Jorden, whom she married shortly afterwards in 1941, at the age of 17. The marriage was short-lived because of Jorden's obsession with violence. In 1943, the couple divorced. After another failed marriage, that did not last even a year, Doris' agent urged her to take a screen test for motion pictures. It was the mega movie moguls Warner Brothers that caught on quick to Doris' talent, and their pursuit for the perfect face for their pictures was well worth the journey. After a lofty contract signing, Doris went on to star in over 20 films from 1948 to 1953. Some of her most famous films of this period were Calamity Jane, Lucky Me, My Dream is Yours, The Man Who knew Too Much, and Pillow Talk. Her soaring movie career helped her sell her musical album, and further increased her stardom. It was during this time that she met Marty Melcher, her future husband. They were wed in 1951, and in 1953, they adopted a child. Doris' success took her through over 50 smash movie hits, her own show, countless other television appearances, and gold records. Even at the young age of 75+, Doris runs a foundation for the proper care of Animals in the town of Carmel, California. 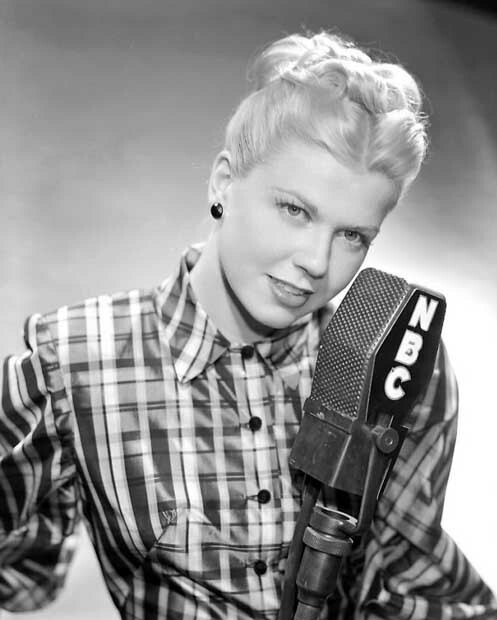 This collection of recordings is a sampling of her singing talents and guest appearances in various shows including the Bob Hope Show, Guest Star Radio, Railroad Hour, and volume two includes recordings of her own show, The Doris Day Show. Be the first to comment on "Doris Day"